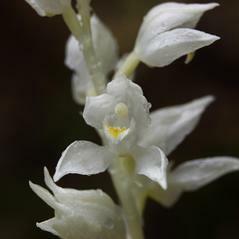 Cephalanthera austiniae, the Phantom Orchid or Snow Orchid, is widely distributed in California, extending north into British Columbia and eastward to Idaho. 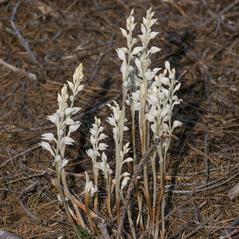 This distinctive orchid is leafless with sheathing white bracts that surround the white stem. 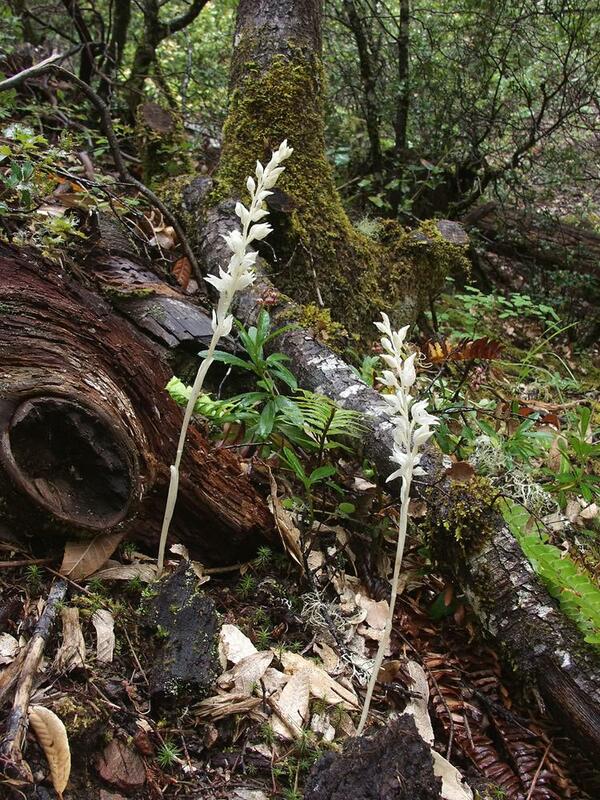 Lacking chlorophyll, this orchid depends on a symbiotic relationship with a fungus for nutrition. 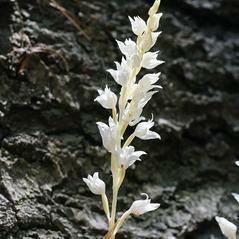 The inflorescence is a solitary spike with numerous white, resupinate flowers that have yellow markings on the lobed labellum. 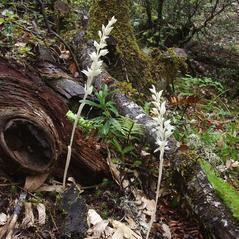 The dorsal sepal and petals form a hood over the primitive column which lacks a rostellum. 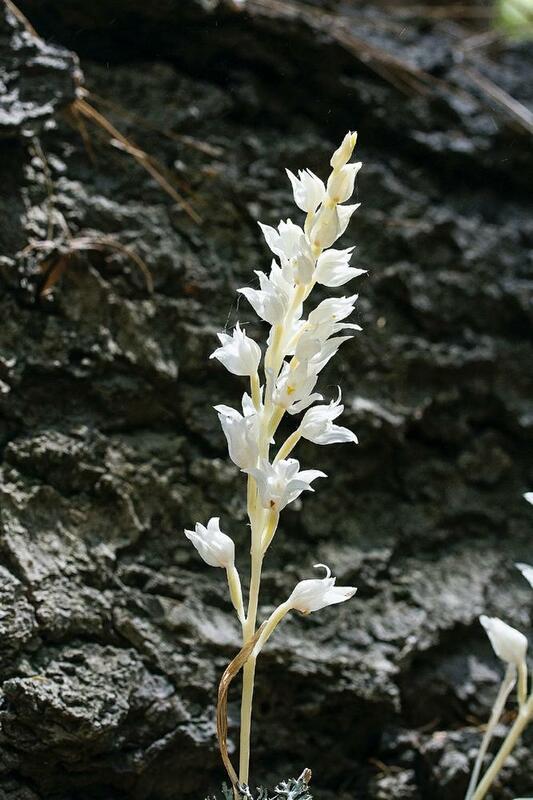 This orchid grows in open but shaded areas near the banks of streams and wooded slopes. 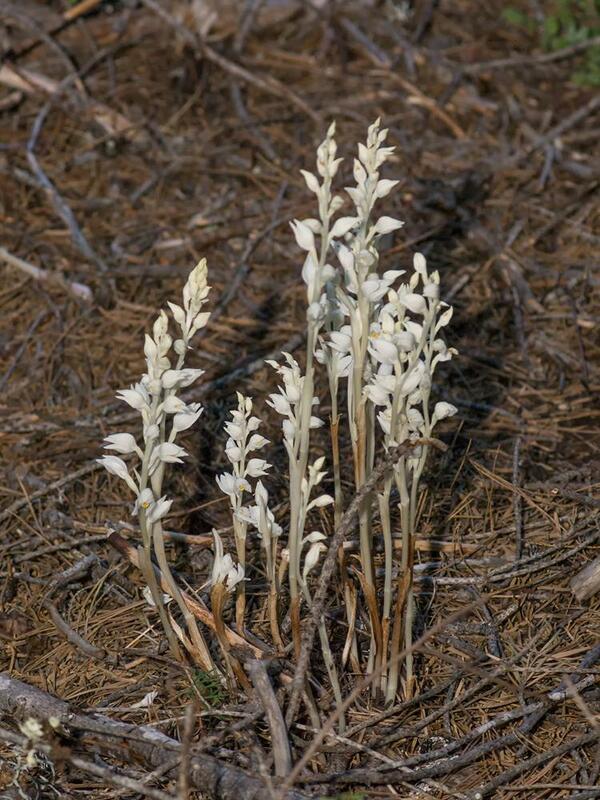 Cephalanthera austiniae is apparently secure across its range with small but widespread populations. 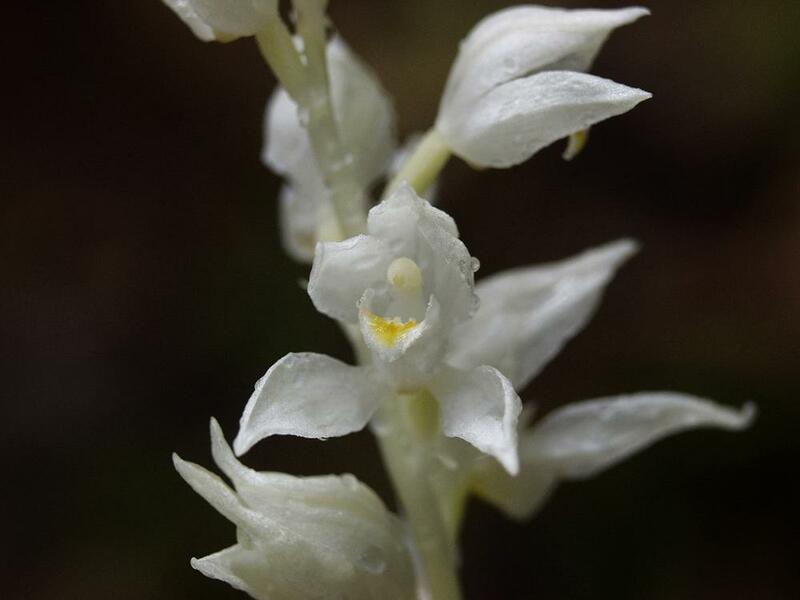 This orchid was recently listed as endangered in Canada and although it is common in California, its habitat is vulnerable to logging and development. The pollen of this orchid sticks to the thorax of sweat bees, such as Lasioglossum pullilabre, only after the bee comes in contact with a sticky substance produced by the stigma. Cross pollination is achieved when this pollen is transferred to the stigma of the next flower it visits. Lasioglossum nevadense deliberately collects pollen and stores pollen on its legs and abdomen. As it crawls randomly over the surface of the column, this bee may drop the white pollen on the stigma, pollinating the flower. Autogamy has been observed in older flowers after the anther cap had withered or been dislodged to expose the pollinia.